The Irish Republican Army (IRA) planted a small bomb in a garden on the campus of the New University of Ulster which was visited by the Queen as part of her jubilee celebrations. The bomb exploded after the Queen had left and it caused no injuries, nor was the Queen’s schedule affected. Members of the Social Democratic and Labour Party (SDLP) refused to attend a reception in her honour. 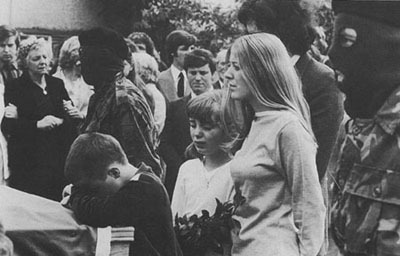 The funeral took place of Joe McDonnell who had died on hunger strike on 8 July 1981. The British Army moved to arrest an Irish Republican Army (IRA) firing party at the funeral and seized a number of weapons and made several arrests. Rioting broke out following this incident. 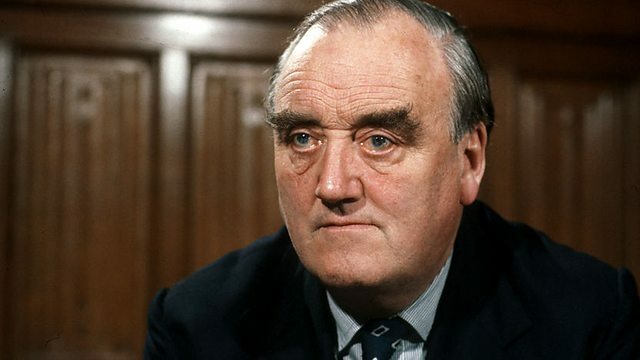 James Prior, then Secretary of State for Northern Ireland, said that the reintroduction of the death penalty in Northern Ireland would lead to an increase in ‘violent disorders’ in the region. Ian Paisley, then leader of the Democratic Unionist Party (DUP), and Peter Robinson, then deputy leader of the DUP, along with 4,000 Loyalists staged an early morning protest in which they ‘took over’ and ‘occupied’ Hillsborough, County Down. The action was part of the continuing protest against the Anglo-Irish Agreement (AIA). The Irish Republican Army (IRA) carried out a gun attack on the home of William McCrea, then Democratic Unionist Party (DUP) MP, in Magherafelt, County Derry. Forty shots were fired into the house which was empty at the time. The stand-off at Drumcree continued for a second day. The numbers involved had increased to approximately 1,000 RUC officers and 10,000 Orangemen and their supporters. During the confrontation there were repeated clashes with the Orangemen and their supporters throwing bricks and bottles at the police officers who replied by firing 24 plastic baton rounds. The disturbances and blocked roads across Northern Ireland also continued as Loyalists acted in support of the Orange Order. The port at Larne was also closed in the action. Many towns and villages across Northern Ireland were blocked, either completely or for considerable periods during the day. The Royal Ulster Constabulary (RUC) reported that since Sunday (7 July 1996) there had been: 90 civilians and 50 RUC officers injured; 156 arrests; over 100 incidents of intimidation; 758 attacks on the RUC; and 662 plastic baton rounds fired by the RUC. Among growing tension in the run-up to the parades planned for 12 July 1997 and talk of potential civil war, the Orange Order said that it would voluntarily reroute six contentious parades from Nationalist areas. A large section of the crowd taking part in the demonstration at Drumcree Church tried on several occasions to break through Royal Ulster Constabulary (RUC) and British Army lines to get on to the Garvaghy Road. Soldiers of the First Parachute Regiment were deployed at Drumcree while troops from a Scottish regiment were withdrawn, no explanation was given for the change. There was continuing Loyalist violence across Northern Ireland with many roads blocked, and Catholic homes and businesses were again attacked. The Royal Ulster Constabulary (RUC) released figures which showed that between 6am on 4 July to 6am on 10 July there had been 1,867 public order offences across Northern Ireland. There had been 550 attacks on the security forces – including 15 shooting and 33 blast bomb attacks carried out by Loyalists, 53 RUC officers had been injured, 548 petrol bombs had been thrown, 1,910 petrol bombs recovered, 103 houses and 133 other buildings damaged, 136 cars hijacked, 367 vehicles damaged, and 151 people arrested. From 6am on 4 July to to 6am on 9 July the security forces had fired 216 plastic bullets. Garda Síochána (the Irish police) in Dublin and Dundalk and anti-terrorist police in England arrested nine people in a series of raids. The police claimed that those arrested were about to launch a fire-bombing campaign in London. It was alleged that those arrested were aligned with the 32 County Sovereignty Committee. There was an arson attack on a Protestant church hall in north Belfast. The ‘Orange Alert Committee’, a Loyalist grouping, organised a parade by hundreds of people to the security barrier at Drumcree, Portadown, County Armagh. Bertie Ahern, then Taoiseach (Irish Prime Minister), held a meeting with David Trimble, then leader of the Ulster Unionist Party (UUP), at Government Buildings in Dublin. Ahern stated that if the Irish Republican Army (IRA) failed to deliver on decommissioning, the Executive would be suspended and a review would take place. Ahern rejected a UUP demand to expel Sinn Féin (SF) if arms were not given up. The Parades Commission reversed an earlier decision and ruled that the Orange Order could parade to Ormeau Park. Seven Unionist councillors, including the Lord Mayor, had lobbied on behalf of the Orange Order. The Irish Times (a Dublin based newspaper) published the results of a survey conducted in Northern Ireland and in the Republic of Ireland. Died seven days after being shot near to his home, Marchioness Street, Lower Falls, Belfast. Shot outside Tully’s Bar, Belleek, near Newtownhamilton, County Armagh.